Ideologies of racial purity and pollution are as old as America, and so is interracial mixing. Yet the one-drop rule did not, as many have suggested, make all mixed-race people black. From the beginning, African Americans assimilated into white communities across the South. Often, becoming white did not require the deception normally associated with racial "passing"; whites knew that certain people were different and let them cross the color line anyway. These communities were not islands of racial tolerance. They could be as committed to slavery, segregation, and white supremacy as anywhere else, and so could their newest members-it was one of the things that made them white. The history of the color line is one in which people have lived quite comfortably with contradiction. Daniel J. Sharfstein. "Crossing the Color Line: Racial Migration and the One-Drop Rule, 1600�1860,"�Minnesota Law Review�(Volume 91, Number�3, 2007): 592-656. Every year around our birthdays, our mom tells my brother and me the story of our births. This is the gift I look forward to most. Origin stories are important. They literally root us. Not everyone has full access to their origin story, however. Perhaps the most tragic end result of enslavement in the Americas is that many of our origin stories have been lost, manipulated and erased. Yet, we insist on learning about and from our past to direct our own futures, as seen by the new National Museum of African American History and Culture. One origin story we have access to — but that has not been fully told — is the story of Whiteness. How did White people become White? Montgomery contextualizes students’ representations of their racial identity choices through the compounded race politics of blood quantum and stereotypes of physical features, showing how varying degrees of “Indianness” are determined by peer groups. 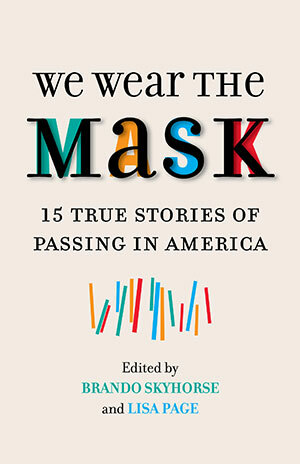 Based on in-depth interviews with nine students who identify as mixed-race (Native American–White, Native American–Black, and Native American–Hispanic), Montgomery challenges us to scrutinize how the category of “mixed-race” bears different meanings for those who fall under it based on their outward perceptions, including their ability to “pass” as one race or another. While pundits point to multiracial Americans as new evidence of a harmonious ethnic melting pot, in reality mixed race peoples have long existed in the United States. 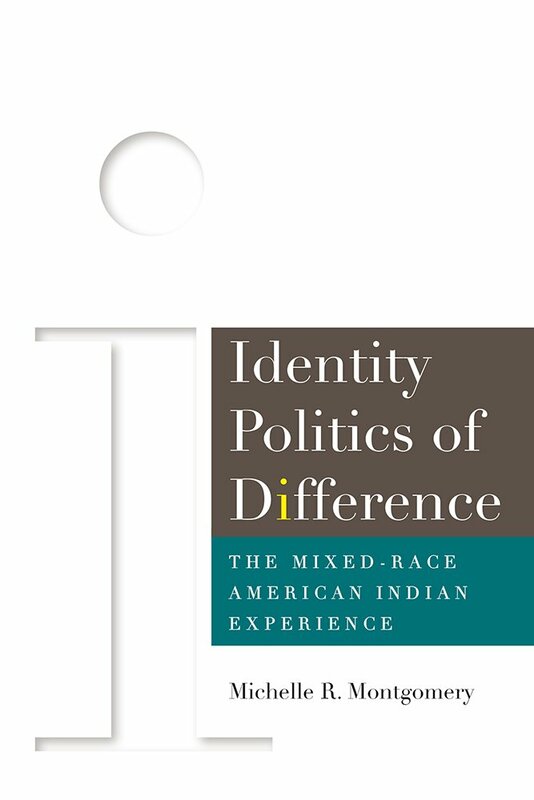 Rather than characterize multiracial Americans as a “new” population, this book argues that instead we should view them as individuals who reflect a new culture of racial identification. Today, identities such as “biracial” or “swirlies” are evoked alongside those more established racial categories of white, black Asian and Latino. What is significant about multiracial identities is that they communicate an alternative viewpoint about race: that a person’s preferred self-identification should be used to define a person’s race. Yet this definition of race is a distinct contrast to historic norms which has defined race as a category assigned to a person based on certain social rules which emphasized things like phenotype, being “one-drop” of African blood or heritage. 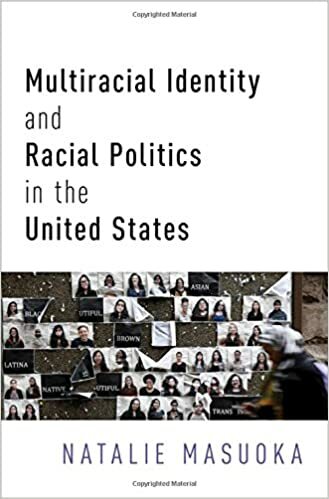 In Multiracial Identity and Racial Politics in the United States, Natalie Masuoka catalogues how this cultural shift from assigning race to perceiving race as a product of personal identification came about by tracing events over the course of the twentieth century. Masuoka uses a variety of sources including in-depth interviews, public opinion surveys and census data to understand how certain individuals embrace the agency of self-identification and choose to assert multiracial identities. At the same time, the book shows that the meaning and consequences of multiracial identification can only be understood when contrasted against those who identify as white, black Asian or Latino. An included case study on President Barack Obama also shows how multiracial identity narratives can be strategically used to reduce anti-black bias among voters. Therefore, rather than looking at multiracial Americans as a harbinger of dramatic change for American race relations, this Multiracial Identity and Racial Politics in the United States shows that narratives promoting multiracial identities are in direct dialogue with, rather than in replacement of, the longstanding racial order. DEADLINE: Manuscripts will be accepted on a rolling basis, though the final deadline is OCTOBER 31, 2017. I am pleased to announce an open submission call for my forthcoming anthology from New York University Press, SHADES OF PREJUDICE, a collection of essays written by Asian American women about their personal experiences with colorism. Colorism is the practice of discrimination whereby light skin is privileged over dark, and is a global issue affecting racial groups worldwide. Colorism exists is just about every part of Asia and affects Asian diasporas, including most Asian American communities—including those descended from Southeast Asia (e.g., India, Pakistan, Cambodia, Singapore, Thailand, Philippines, Vietnam, and Indonesia), but also those from Japan, China, and other parts of Eastern Asia. I am looking for Asian American women (including multiracial American women with Asian ancestry) to share their personal experiences with colorism—how has your skin shade (and other “racialized” physical features like eye color, eye shape, and other facial features) influenced your life? Essays should be approximately 1,000-2,500 words, double-spaced, and Times New Roman font. Nikki Khanna is an associate professor of Sociology at the University of Vermont and has written extensively on issues regarding race. You can read more about the author here: www.nikkikhanna.com and http://www.uvm.edu/sociology/faculty/faculty_bios/Khanna/. What is the importance of skin shade in your Asian ethnic community and how has this affected your life? For example, has it had an effect on dating or finding a mate? Has it influenced your interactions or relationships with family members or others? Has it affected any of your life opportunities? (job, education, etc.?). How did you learn that light skin was preferred over dark skin in your Asian ethnic community? Can you provide specific examples? Have you personally benefitted from having light skin? If so, how so? Is there a particular experience that you can share? How have your family, community, peers, friends, media or others reinforced the stereotype that light skin is somehow more desirable than dark skin? Have you felt pressure to use products designed to lighten or whiten your skin? If yes, why and what types of products? What has your experiences been with these products? How do you feel about whitening products? Have you tried any other means to lighten or change the shade of your skin? Have you felt pressure from your ethnic community or larger American society to conform to particular beauty standards? How so? Explain. Have you struggled with, resisted, or actively challenged the “light is beautiful” message? How so? Have other physical/facial characteristics (those that are often related to race) had an influence on your life (e.g., your eye color, eye shape, nose shape)? Have you felt pressure to surgically alter any of your physical features to conform to a particular beauty standard in your Asian ethnic community or in larger American society (e.g., eyelid surgery)? Explain. Do you think light skin is seen as desirable because some people desire to look/be white, because light skin is related to social class or caste, or to something else? Why? What in your personal life has informed the way you explain why light skin is considered more desirable than dark? Do you think the impact of your skin color on your life is influenced by other factors – such as your gender, social class/caste, ethnic group, generation, or other factors? For example, do you think skin color more so affects women than men? Why or why not? Do you think that your experiences are similar or different to male family members or men in your Asian ethnic community? Do you think your generation (whether you are 1st, 2nd, 3rd or later generation Asian American) has influenced the importance of skin color in your life? Did growing up in America challenge or reinforce the idea that light skin is better than dark? How so? Could you share a particular example? Relatedly, how have American beauty standards affected your vision of what is considered beautiful and how does this related to beauty standards in your ethnic community? Are those standards complementary or contradictory? 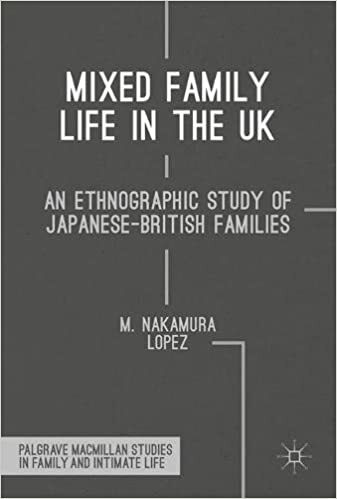 This book offers a nuanced picture of mixed family life in the UK. Specifically, the book explores how parents from different backgrounds create a place of belonging for their children, while also negotiating difference and attempting to transmit various aspects of their cultures, including religion, hobbies, language and food to their mixed children. Based on data collected from 26 months of fieldwork, the author concludes that the intergenerational transmission of culture, instead of being tied to the idea of “national culture”, is actually more organic and fluid, allowing individuals to share their “cultures”, from traditions and customs to preferences and habits, with the next generation. As mixedness increasingly becomes the norm in our global society, the book will be of interest to students and scholars of race, ethnicity and family studies, as well as social workers, school teachers, counsellors, and parents and kin of mixed children. Research is currently being conducted at Palo Alto University on racial identity, heritage, and development. If you are between the ages of 18 to 45, know your parents’ racial identity, and are a United States resident, please consider participating in this anonymous study by clicking on the link below and taking the 20- to 25-minute survey. You are welcome to direct any questions to spereira@paloaltou.edu.